Is France falling out of love with Scotch? France imports more Scotch whisky than any other country in the world – even more than the gargantuan US. But after decades of loyalty, are French consumers consciously uncoupling with Scotch in favour of other spirits? Christine Lambert reports on this tempestuous relationship. They have been in love for a long time – more than 50 years without the slightest affair – and yet they say infidelity is in the French DNA. The romance between France and Scotch whisky started in the 1950s when the country became the largest importer of the amber nectar, a rank it still holds today. But love does not matter – only proof of love counts. So, at the turn of the 21st century, the French dropped their number one tipple, pastis, for Scotch. Sacré bleu! The country of wine, the nation of Cognac, the land of Calvados was sipping more Scotch whisky than any other national spirit. It still is. But, lately, you can see the happy couple grinning in pictures. The market is flat, with sales of Scotch oscillating between -2% and +2%. What is happening? Oh, just the usual: boredom. Missing the thrill; longing for change. But come on, does Scotch whisky really need saving? ‘It has contracted the Champagne disease; the brands want to play the premium game, drop the age statements and are all doing the same stuff,’ says Bénitah. Translation: it is not surprising its bride any more. ‘It’s not about a lack of innovation. It’s more about the way the big guns in the industry manage their brands, just as they would market washing powders. When I see Glenlivet, Cardhu, Glenmorangie, Glen Grant… what on earth are they doing? Bored, you say? The Madame Bovary syndrome is only part of the explanation. France didn’t like her Scotch lover trying to disguise his age. ‘Every time an NAS replaced an age statement in a range, it failed,’ says Clément Levi, wine and whisky buyer for Intermarché, one of the major supermarket chains in France. ‘The fall of Macallan is spectacular; The Singleton sales dropped to the point Diageo had to call back its 12- and 15-year-old, for instance. There is also this new guy in town, an American who entered the top 10 best-selling whiskies in France two years ago and now ranks sixth (don’t worry, the nine others are blended Scotch whiskies). His name is Jack – Jack Daniel’s – and it should be a relief that American whiskey is not (yet) the big wave expected to reshuffle the cards, although it started overtaking Scotch single malt sales in volume (not value) two years ago. Nicolas Julhès opened La Distillerie de Paris two years ago, which is the one – and only – microdistillery in the capital. He is also a dedicated Scotch whisky lover. But ask him about the love story we’re interested in, and he instantly gets mad. ‘For years, Scotch whisky distillers knocked down the market by dumping huge stocks below cost price in order to drain the “whisky loch”,’ says Julhès. ‘But they don’t sit on those stocks any more. Then they threw themselves into the premium rat race. And, let’s be honest, the premium category is probably the most bloody boring one these days. Now everybody calm down; it is not time to file the divorce paper – not just yet. The French quenched their thirst with 176m bottles of Scotch whisky in 2015, according to the Scotch Whisky Association. 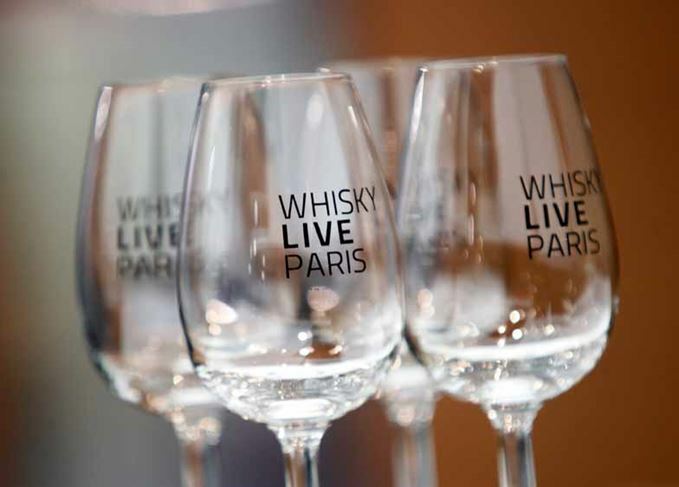 ‘Four out of 10 bottles of spirits bought in France is Scotch whisky and we are, by far, the first market for it,’ points out Laurent Drège, marketing manager for whiskies at Pernod Ricard. With 20% market share (twice the sales of the second-best-seller, Glenfiddich), the Pernod Ricard distillery is a strong number one in France. Could it mean we are telling a very narcissistic romance, or should we say a Franco-French, love story? The four leading brands in value (William Peel, Ballantine’s, Label 5, Clan Campbell) belong to French groups, and so does Aberlour. Of course when you ask the other half of the couple, the tune sounds different. Scotch whisky might feel a little tired of its old French partner too. The market is now global – so, if you yawn in bed, I could not care less. Mexico, Brazil, Asia – the world is full of new potential love interests. The best piece of evidence to support this? The Whisky Shop chose Paris to open its first store outside the UK earlier this year, including a Johnnie Walker House. The bed is large, they can all squeeze in – the more, the merrier. This year’s event saw bigger crowds and a snapshot of France’s changing love affair with Scotch. What makes a successful and enduring whisky event? Keep moving, keep changing and never settle. As the retailer celebrates 60 years, LMDW’s CEO explains why whisky is more than just a business. Three ‘70s and ‘80s bottlings from cult distilleries Brora, Glenlochy and Glenugie. Track down the perfect Parisian dram with this guide to its finest whisky bars, shops and eateries.